Are you irritated of that constant notification dot from Facebook messenger? Have you checked the ‘mark all read’ option and still its there? Have you tried to log in and out from your messenger several times and still somehow its there? Have you cleared the data and cache of your application from your smartphone but the problem persists? 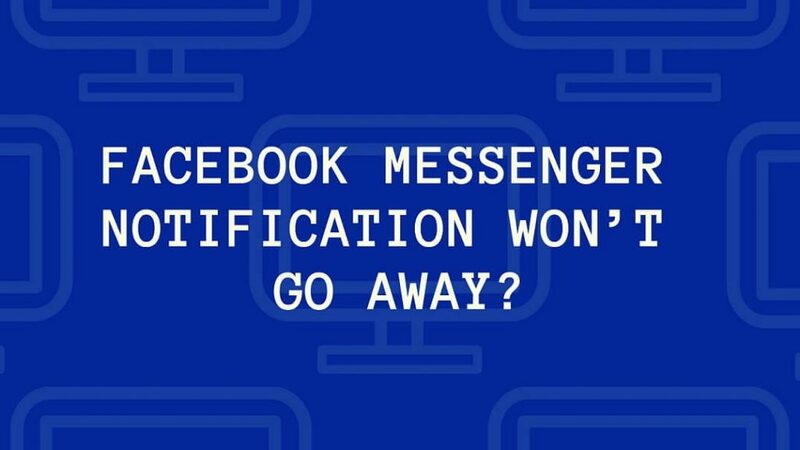 If yes, then keep reading this post I have explained how you can get rid of that irritating notification dot from your messenger. Sometimes Facebook messenger app shows you that you have received a message but when you check it you see no new messages. Then you try to search for that message by scrolling through your chats and then also you are not able to find that unread message due to which the notification is showing. Don’t worry your smartphone is not bugged with a virus or something. It is just a small problem in Facebook’s messenger app and sometimes it also happens when you access Facebook from a browser on your PC or laptop. That red coloured notification is actually irritating when you have a lot of work and you receive important messages via Facebook. It distracts you from your work again and again and doesn’t go off even after checking it. In this post, I am going to tell you how to get rid of that irritating notification dot from the Facebook messenger. So, firstly before removing that notification sign we need to know why is that showing up in the first place. Maybe you have some unread messages. No, not in your Inbox but in your ‘message requests’ or in ‘others’ inbox. Open your Facebook account in a web browser and click on the messenger icon. Check you ‘message requests’ by clicking on message requests button. Open your messenger app and click on the ‘People’ option as shown below. Okay so now you have checked in your others inbox and also in message request and there is no unread message in there and still your Facebook messenger shows that notification sign telling you that you have a new message. No problem I have a solution for that too. Go to your messenger app or open your inbox in a browser. Click on a recent message and click on ‘mark as unread’ as shown in the picture below. Now log out from your Facebook account or close your Facebook messenger app. Log in again and check the message you just marked as unread. And as soon as you check that unread message the notification dot appearing should go away on its own. This trick has helped a lot of Facebook users get rid of that notification dot. If the notification still persists and you want to really get rid of it you can ‘Report a Problem’ with Facebook’s support staff and they will help you in any possible way to remove that irritating notification icon appearing on your mobile or browser.